The 2018 Hillsboro High School Homecoming court was honored at midfield before Friday’s win over CNE. 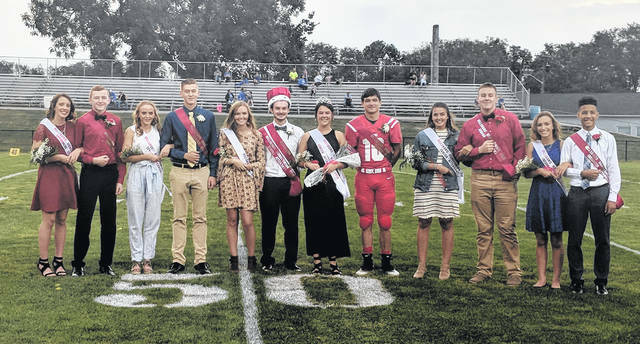 Pictured (l-r): Zinny Adams, Lawton Parry, Molly McCreary, Quinn Conlon, Johanna Holt, King Cole Newsome, Queen Molly Ferguson, Tyler Workman, Josie Hopkins, Caleb Crawford, Brynn Bledsoe and Quinton Captain. 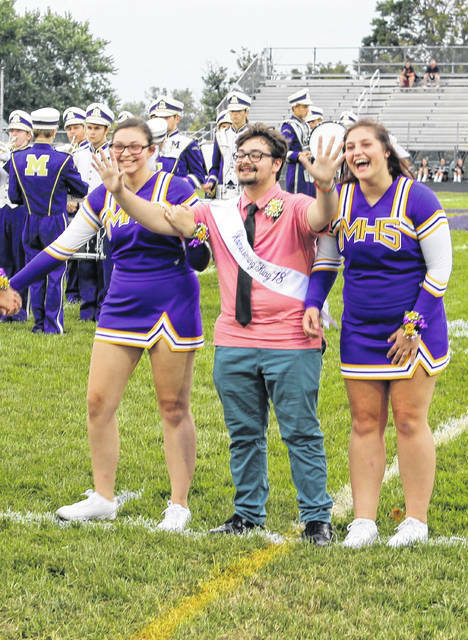 McClain Homecoming King Derik Lawson was escorted by Lady Tigers cheerleaders on Friday before the Tigers took on Troy Christian. McClain Homecoming Queen Faith Adkins was escorted by two Tigers football players on Friday before the Tigers hosted Troy Christian as part of their Homecoming festivities at McClain High School.